Maxx HD Sunglasses is pleased to announce their New Employee Training Program in partnership with Weldon Long. Maxx HD® Sunglasses, the fast growing provider of affordable high definition sunglasses, announced a new employee development training program today with the help of Weldon Long, a Colorado Springs-based inspirational speaker, successful entrepreneur, and the award-winning author of The Upside of Fear. Long is an expert in personal responsibility who broke a 20-year cycle of prison, poverty and addiction and grew an Inc. 5000 company with $20 million in sales in just five years. Maxx HD® Sunglasses will launch their new employee development initiative with an all-day private training event on Saturday August 18th at the Colorado Springs Marriott. Weldon Long will train the MAXX HD® staff with his signature Power of Consistency® Training Program - Prosperity Mindset® Training for Sales and Business Professionals. Long describes this program as The Missing Link in Your Sales and Business Results. He has created a four-step process to inspire companies’ and their staff to achieve anything and show them how to overcome any obstacle they might face in life and business. This four-step process based on the acronym FEAR, includes the following: Focus, Emotional Commitment, Action, and Responsibility. Long's training will also include taking Maxx HD® Sunglasses' existing sales process and organizing it according to his Hallway Sales® System. Maxx HD® Sunglasses will implement Long’s process into their culture and will continue to work with Long on an ongoing basis. 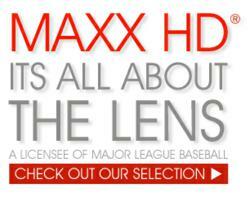 For more information on Maxx HD® Sunglasses or Weldon Long please visit their websites at http://www.maxxsunglasses.com or http://www.weldonlong.com.